EDI is a conversational AI meant to assist students in highschool and college classrooms. 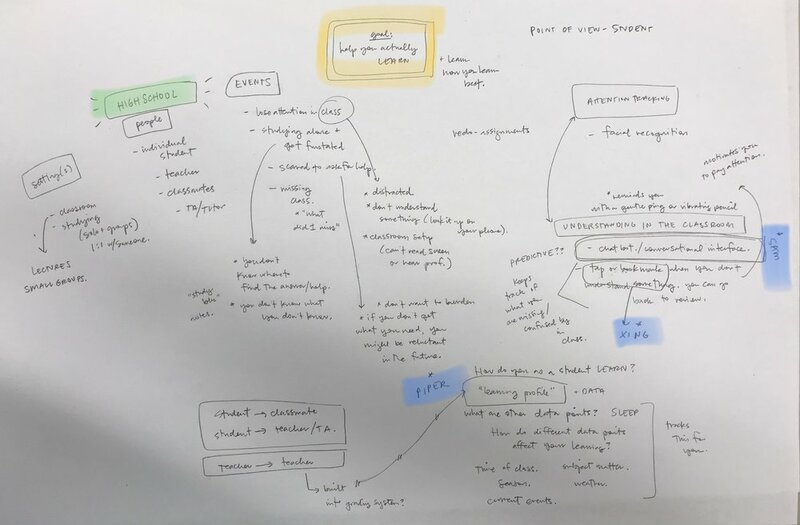 Within the framework of how AI/machine learning can be utilized, we brainstormed products and experiences that could utilize such technologies. From our categories, we focused on education, particularly in the classroom. Students, tired or not, lose focus and become lost in difficult or dry lecture settings. We then looked at this problem 15 years in the future and how AI/machine learning technology would affect the classroom experience. 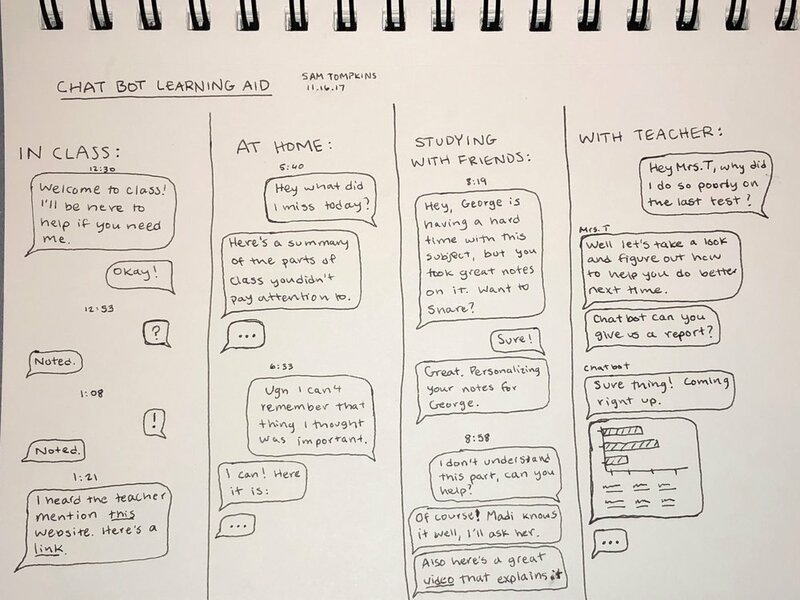 In these set of storyboards, we explored how AI would aid students in the classroom. 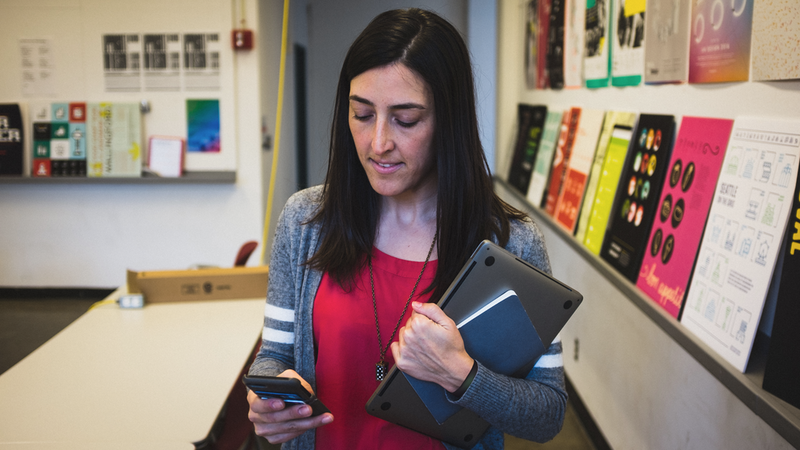 Accounting for a student's education history and learning styles, the AI assistant would record and transcribe a teacher's lesson into a format the student is most comfortable with. Furthermore, should a student lost focus during a particularly dry topic, eye tracking technology in your device would take note and then catch you up through a short debriefing. This attention tracking data would then be sent to the teacher during the lesson and should a classroom's overall attention fall below a threshold, teachers could adjust their lesson accordingly. We had to think about how the AI would connect students to one another and to the teacher. Taking inspiration from chatbots in how they try to emulate real people, we decided on this format of communication. It was much more convenient and immersive for the AI to exist in the form of SMS text messages versus in a separate app. The AI, which we now were calling EDI, would be like another friend in a student's contacts. In iterating our experience flows, we also though about where this AI would exist. We decided to go with a wristband that would track your attention through skin capacitance technology. To complement students' different learning preferences, whether it be taking notes by hand, by laptop, or just by listening. To record and assist the student without providing an additional layer of distraction. The most students would be able to do with the wristband is tap it to bookmark sections in the audio recording they wished to come back to. 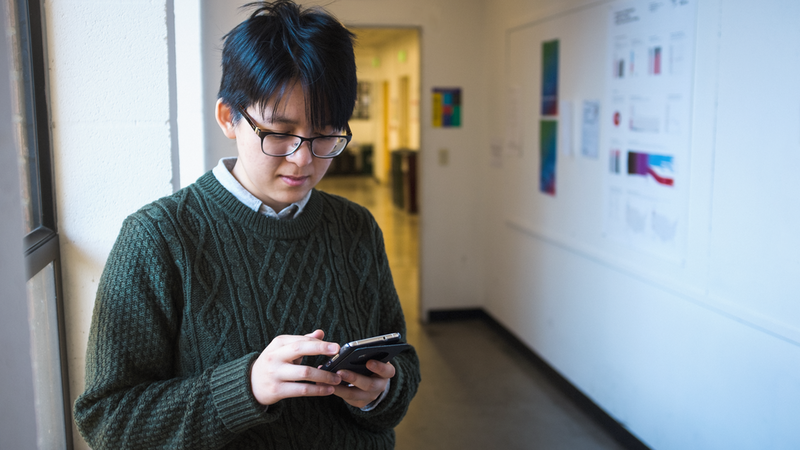 The debrief function of the AI would also need to messaged to the student at a convenient time, not during class or at a time the student would unlikely read it. It would outline the gist of the lesson as well as a personalized rundown of concepts that the student didn't understand or tuned out of. We also thought the AI was doing too much of the work for the student and wasn't utilizing the best resources the student already had access to; their classmates and teacher. In this case, the AI would connect students to classmates that both understood the material they didn't, and who learn similarly to them. Upon presenting this in class, we received feedback to include the teacher more in the students' learning outside of the classroom.